Alfredito Flies Home. Jorge Argueta. Luis Garay, Illus. Groundwood, 2007. 9780888995858. 40 pp. Alfredito and his family are getting ready to return to El Salvador for Christmas to reunite with family and friends. It will be their first visit back since they left as refugees and made their way to California on foot. Anna’s Goat. Janice Kulyk Keefer. Janet Wilson, Illus. Orca. 2000. 9781551431536. 32 pp. While Anna’s family takes refuge during World War II, factory workers provide Anna and her sister with a nanny goat to care for them while their mother works. Set in Eastern Europe. The Arrival. Shaun Tan. Arthur A. Levine Books. 2007. 9780439895293. 128 pp. 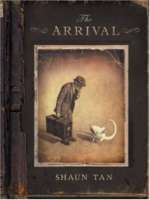 In this award-winning wordless novel, a lone immigrant leaves his family and journeys to a new world, both bizarre and awesome, finding struggle and dehumanizing work but also friendship and a new life. Tan creates a whimsical, fantastical world that plunges the reader into the unsettling and often terrifying experience of being alone in a new land. 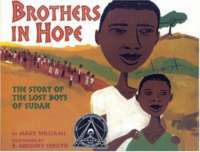 Brothers in Hope: The Story of the Lost Boys of Sudan. Mary Williams. R. Gregory Christie, Illus. Lee & Low Books. 2005. 9781584302322. 40 pp. Eight-year-old Garang, orphaned by a civil war in Sudan, finds the inner strength to help lead other boys as they trek hundreds of miles seeking safety in Ethiopia, then Kenya, and finally in the United States. Chachaji’s Cup. Uma Krishnaswami. Soumya Sitaraman, Illus. Children’s Book Press. 2003. 9780892391783. 44 pp. A boy learns about his family history and the Partition of India and Pakistan from his great uncle, through refugee stories told over a beloved old teacup. The Color of Home. Mary Hoffman. Karin Littlewood, Illus. Dial. 2002. 9780803728417. 32 pp.Hassan, newly-arrived in the United States and feeling homesick, paints a picture at school that shows his old home in Somalia as well as the reason his family had to leave. Dia’s Story Cloth. Dia Cha. Chiie & Nhia Thao Cha, Illus. Lee & Low. 1998. 9781880000632. 24 pp. The story cloth made for her by her aunt and uncle chronicles the life of the author and her family in their native Laos, their escape to a refugee camp in Thailand, and their eventual emigration to the United States. Faraway Home. Jane Kurtz. E. B. Lewis, Illus. Gulliver. 2000. 9780152000363. 32 pp. Desta’s father, who needs to return briefly to his Ethiopian homeland, describes what it was like for him to grow up there. Four Feet, Two Sandals. Karen Lynn Williams; Khadra Mohammed. Doug Chayka, Illus. Eerdmans. 2007. 9780802852960. 28 pp. Gervelie’s Journey. Anthony Robinson; Annemarie Young. June Allan, Illus. Frances Lincoln. 2008. 9781845076528. 36 pp. Shares the true story of Gervelie, a girl born in the Republic of Congo whose life has been disrupted numerous times by war and violence which finally forced her and her father to flee to England in 2002, where they have been living with uncertainty as refugees ever since. Gleam and Glow. Eve Bunting. Peter Sylvada, Illus. Voyager Books. 2005. 9780152053802. 32 pp. Based on a true story, this account of a refugee family in Bosnia-Herzegovina offers hope in the midst of war and loss. Two goldfish the children must leave behind in their pond survive and multiply by the time the family returns. Going Home, Coming Home/Ve Nha, Tham Que Huong. Truong Tran. Ann Phong, Illus. Children’s Book Press. 2003. 9780892391790. 32 pp. This bilingual picture book, from an author and artist who are both Vietnamese American, tells a contemporary immigrant story, not of child refugees coming to America, but of a child of those refugees visiting the country her parents still call home. Focuses on the space between generations and the idea that home is not just one place. Hamzat’s Journey. Anthony Robinson; Annemarie Young. June Allan, Illus. Frances Lincoln. 2009. 9781847800305. 32 pp. Hamzat, a boy born in Chechnya in 1993, tells about his life in a time of war, and explains how he and his family came to live in England after he stepped on a land mine and had to have his leg amputated. Part of the Refugee Journeys series. How I Learned Geography. Uri Shulevitz. Farrar, Straus and Giroux. 2008. 9780374334994. 32 pp. As he spends hours studying his father’s world map, a young boy escapes the hunger and misery of refugee life. Based on the author’s childhood in Kazakhstan, where he lived as a Polish refugee during World War II. The Island. Armin Greder. Allen & Unwin. 2008. 9781741752663. 32 pp. Leaving Vietnam. Sarah S. Kilborne; Melissa Sweet, Illus. Simon & Schuster. 1999. 48 pp. Tells the story of a boy and his father who endure danger and difficulties when they escape by boat from Vietnam, spend days at sea, and then months in refugee camps before making their way to the United States. Little Dog Moon. Maxine Trottier. Laura Fernandez & Rick Jacobson. Illus. Stoddart Kids. 2000. 9780773732209. 20 pp. A young monk is moved by the bravery of two children journeying alone from Tibet to the freedom of Nepal. He offers the help of Moon, his beloved dog who knows the unguarded paths out of the mountains. The Long Road. Luis Garay. Tundra Books. 1997. 9780887764080. 32 pp. Forced to flee their village because of civil war in Nicaragua, Jose and his mother struggle to create a new life for themselves in North America. The Lotus Seed. Sherry Garland. Tatsuro Kiuchi, Illus. Voyager Books. 1997. 9780152014834. 32 pp. 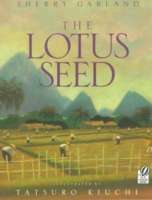 When she is forced to leave Vietnam, a young girl brings a lotus seed with her to America in remembrance of her homeland. Meltem’s Journey. Anthony Robinson. Annemarie Young, Editor. June Allan, Illus. Frances Lincoln. 2011. 9781847800312. 32 pp. Relates the experiences of a Kurdish girl whose family was forced from their home and faced hard times in Germany and England, until they received support from the Children’s Commissioner. Mohammed’s Journey. Anthony Robinson. Annemarie Young, Editor. June Allan, Illus. Frances Lincoln. 2009. 9781847802095. 36 pp. The story of Mohammed and his mother who escape from Iraq by bus, on horseback, in a boat, and on a lorry, and travel through Iran and Turkey to arrive in England and safety. Photographs and illustrations depict these events as Mohammed and his mother talk about their harrowing past and their hopes for the future. My Freedom Trip. Frances Park & Ginger Park. Debra Reid Jenkins, Illus. Boyds Mills. 1998. 9781563974687. 32 pp. The story of a young girl’s escape from North Korea to South Korea, based on the life of the authors’ mother. One Day We Had to Run: Refugee Children Tell Their Stories in Words and Paintings. Sybella Wilkes. Evans Brothers. 1994. 9780237514891. 64 pp. A collection of personal stories, paintings, and folktales by refugee children in Kenya who fled their homelands of Sudan, Somalia, and Ethiopia because of civil war. Petar’s Song. Pratima Mitchell. Caroline Binch, Illus. Frances Lincolns. 2004. 9780711220782. 32 pp. 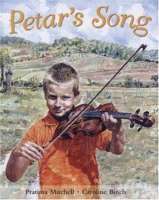 Petar no longer desires to play his violin when war breaks out, and his family must flee their home, leaving father behind to fight; however, one Christmas morning, a song of peace and a new hope for the future comes into Petar’s head. Set in the Balkans. Refugees. David Miller. Lothian. 2003. 9780734406330. 40 pp. A small green swamp just past the edge of town is home to two blue-billed ducks until one day huge, rumbling, grumbling machines crawl, scraping and gouging out the swamp’s precious water. The ducks become refugees trying to find a new place to live. The Roses in My Carpets. Rukhsana Khan. Ronald Himler, Illus. Fitzhenry and Whiteside. 2004. 9781550050691. 32 pp. An Afghan boy struggling with the realities of his life in a refugee camp finds strength in his training as a carpet weaver, creating a tapestry of roses that helps him cope when his sister is hurt. The Silence in the Mountains. Liz Rosenberg. Orchard Books. 1999. 9780531300848. 32 pp. 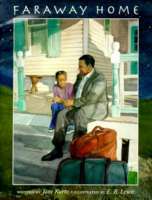 When his family leaves their war-torn country to come to live in America, a young boy has trouble adjusting, until his grandfather helps him find what he misses most. 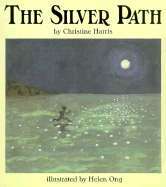 The Silver Path. Christine Harris. Chris K. Soentpiet, Illus. Magi. 1994. 9781854302571. 28 pp. 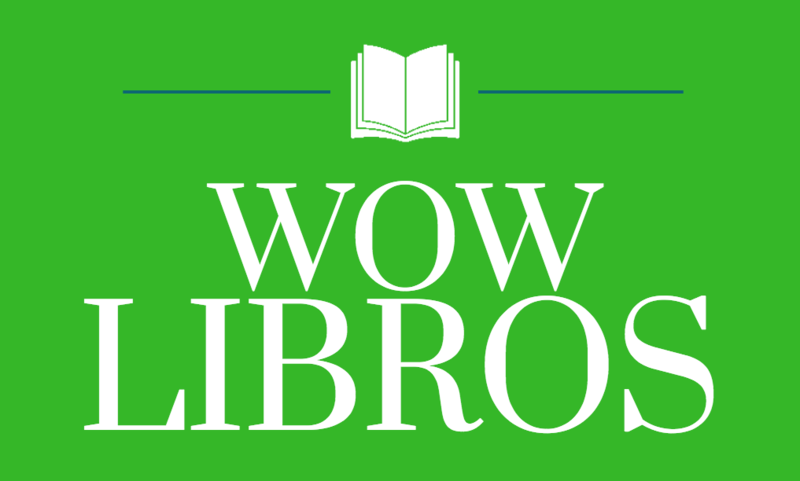 Niko writes to his pen pal, Penny, and describes his life as a refugee in an unidentified, war-torn country, telling how he imagines following the moon’s reflection on the sea, like a silver path to her home. The Whispering Cloth: A Refugee’s Story. Pegi Deitz Shea. Anita Riggio, Illus. Boyds Mills. 1996. 9781563976230. 32 pp. A young Hmong girl in a Thai refugee camp in the mid-1970s finds the story within herself to create her own pa’ndau. Ziba Came on a Boat. Liz Lofthouse. Robert Ingpen., Illus. Kane/Miller, 2007. 9781933605524. 33 pp. 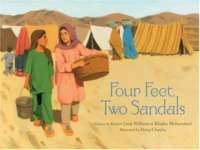 Tells the story of a young girl’s family and their long journey on a small boat from Afghanistan to Australia to escape the violence in their home village. Children of War: Voices of Iraqi Refugees. Deborah Ellis. Groundwood. 2009. 9780888999078. 144 pp. Provides interviews with twenty young Iraqi children who have moved away from their homeland and tells of their fears, challenges, and struggles to rebuild their lives in foreign lands as refugees of war. Christophe’s Story. Nikki Cornwell. Frances Lincoln. 2007. 9781845077655. 96 pp. Young Christophe and his family flee the war in Rwanda for England, where Christophe must adjust to a new country, a new school, and a new language. He orally shares his story of loss with classmates but is unsure how to respond when asked to write his story because in his culture it is believed that a story loses its potency when written down. The Day of the Pelican. Katherine Paterson. Clarion, 2009. 9780547181882. 145 pp. In 1998 when the Kosovo hostilities escalate, thirteen-year-old Meli’s life as an ethnic Albanian, changes forever after her brother escapes his Serbian captors and the entire family flees from one refugee camp to another until they are able to immigrate to America. Drita, My Homegirl. Jenny Lombard. Penguin Group. 2008. 9780142409053. 148 pp. Esperanza Rising. Pam Munoz Ryan. Scholastic. 2000. 9780439120418. 262 pp. Esperanza and her mother are forced to leave their life of wealth and privilege in Mexico to work in the labor camps of Southern California, where they must adapt to the harsh circumstances facing Mexican farm workers on the eve of the Great Depression. Faraway Home. Marilyn Taylor. O’Brien Press. 1999. 9780862786434. 221 pp. Based on true events, this is the story of Karl and Rosa, a brother and sister who escape from Nazi-occupied Vienna to Northern Ireland during World War II and learn that out of conflict and despair extraordinary friendships can grow. A Faraway Island. Annika Thor. Delacorte, 2009. 9780385736176. 247 pp. Two Jewish sisters are sent as refugees to Sweden, waiting for their parents to flee the Nazis in Austria. Eight-year-old Nellie settles in quickly, but twelve-year-old Stephie feels stranded at the end of the world, with a foster mother who is as cold and unforgiving as the island on which they live. Translated from Swedish. From Somalia, With Love. Na’ima B. Robert. Frances Lincoln. 2008. 978-1-84507- 832-4. 159 pp. 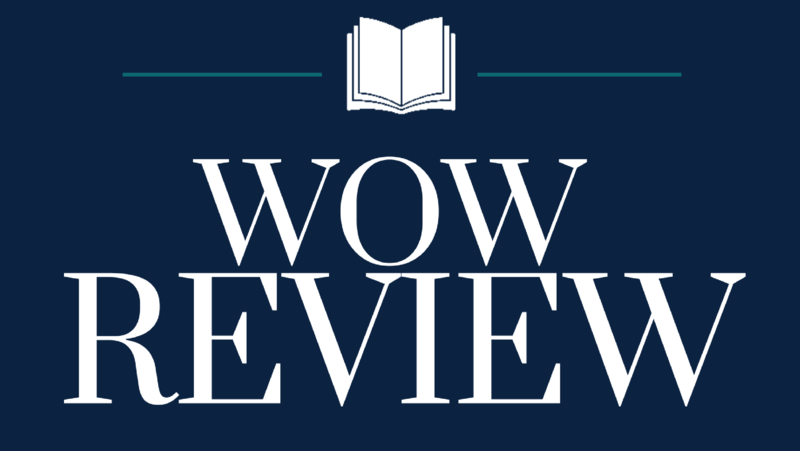 London teenager Sofia Dirie, who was born in Somalia, finds her life turned upside down when her father, who has been gone for twelve years, returns from war-torn Mogadishu and expects the family to live by his rules. Girl in Red. Hicyilmaz, Gaye. Orion. 2000. 9781858814902. 186 pp. Frankie is entranced by the girl in the red skirt, the gypsy from Romania who speaks no English. It is a terrible shock to him when his neighbours on the estate react violently against Emilia’s people, and what’s worse is that his mother is leading the protest. The Girl Who Saw Lions. Berlie Doherty. Roaring Brook Press. 2008. 9781596433779. 240 pp. In alternating voices, thirteen-year-old Rosa and her mother are trying to adopt a Tanzanian child in England, while in Tanzania, nine-year-old Abela watches her family die and her uncle illegally sends her to England, in the hopes of selling her. Give Me Shelter: Stories about Children Who Seek Asylam. Tony Bradman. Frances Lincoln. 2007. 9781845075224. 236 pp. A collection of stories based on true events that recount the experiences of children from countries around the world, including Kosovo, Ethiopia, Vietnam, Sudan, and Iraq, who have sought asylum in western countries in order to avoid persecution or war in their own countries. Grab Hands and Run. Frances Temple. Orchard. 1993. 9780531054802. 165 pp. After his father disappears, Felipe, his mother, and his younger sister set out on a difficult and dangerous journey, trying to make their way from El Salvador to Canada. Home of the Brave. Katherine Applegate. Square Fish. 2008. 9780312535636. 272 pp. Kek, a Sudanese refugee, is confronted by many strange things at the Minneapolis home of his aunt and cousin, as well as in his fifth-grade classroom. He longs for his missing mother and mourns the loss of his father and brother, but finds comfort in the company of a cow and her owner. Journey of Dreams. Marge Pellegrino. Frances Lincoln. 2009. 9781847800619. 256 pp. Tomasa and her family struggle during a time of war in Guatemala before setting out on a journey to find Mama and Carlos, who have gone into hiding.. They brave various dangers before eventually making their way as refugees to the U.S. The dramatic events of the Guatemalan army’s “scorched earth” campaign of the 1980s are tempered with hope and the generosity of the human spirit. The Journey That Saved Curious George: The True Wartime Escape of Margret and H.A. Rey. Louise Borden. Houghton Mifflin. 2005. 9780618339242. 80 pp. In 1940, Hans and Margret Rey, German-born Jews, fled their Paris home as the German army advanced. They began their harrowing journey on bicycles, pedaling to Southern France with children’s book manuscripts among their few possessions, and then fled as refugees to various countries before arriving in New York. Kiss the Dust. Elizabeth Laird. Egmont. 2001. 9780749749323. 280 pp. 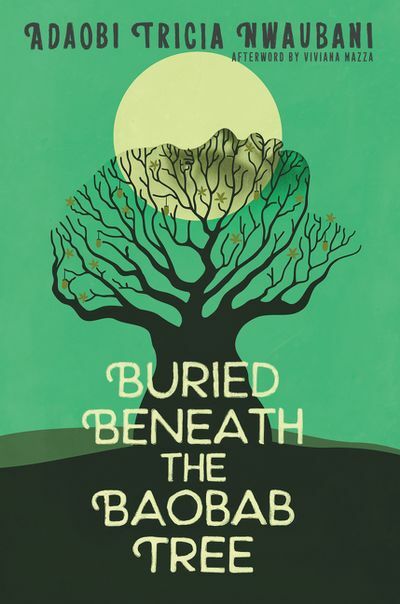 Her father’s involvement with the Kurdish resistance movement in Iraq forces thirteen-year-old Tara to flee with her family over the border into Iran, where they face an unknown future. Little Soldier. Bernard Ashley. Orchard. 1999. 9781860398797. 256 pp. A child soldier rescued from fictional Lasai, Africa, and taken to London, Kaninda wants to return to Lasai to fight, but he’s drawn into the neighborhood gang war and his foster sister’s anguish over a hit-and-run accident. The book takes a hard, gritty approach to atrocities that are both witnessed and committed in Africa and London. 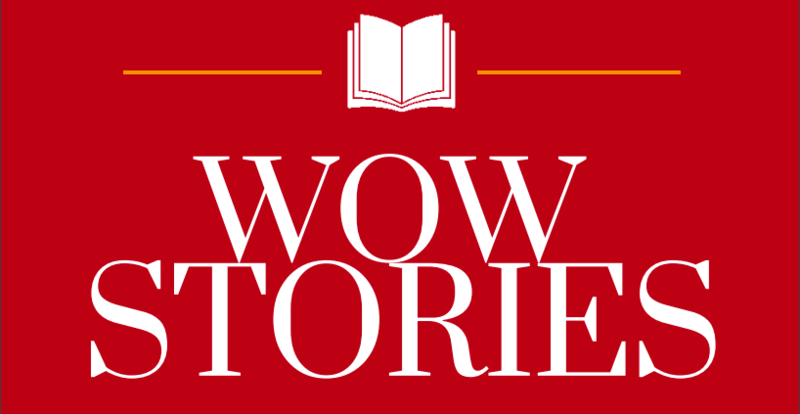 Mahtab’s Story. Libby Gleeson. Allen & Unwin, 2008. 9781741753349. 181 pp. Mahtab, forced to flee her home in Heart, Afghanistan with her family, journeys with them to Pakistan and on to Australia, wondering if she will ever have a home again, and whether her father will be able to join them. Making It Home: Real-Life Stories from Children Forced to Flee. Beverley Naidoo. Puffin. 2005. 9780142404553. 128 pp. Mud City. Deborah Ellis. Groundwood. 2004. 9780888995421. 176 pp. This final book in the trilogy begun in The Breadwinner and Parvana’s Journey paints a devastating portrait of life in refugee camps and shows the resourcefulness of children who endure great suffering there. Onio n Tears. Dianna Kidd. Orchard, 1991. 9780531084700. 62 pp. A young Vietnamese girl tries to come to terms with her grief over the loss of her family and her new life with the Australian family with whom she lives. The Other Side of Truth. Beverley Naidoo. HarperTrophy. 2003. 9780064410021. 272 pp. 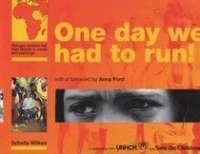 Smuggled out of Nigeria after their mother’s murder, Sade and her younger brother are abandoned in London when their uncle fails to meet them at the airport and they are fearful of their new surroundings and of what may have happened to their journalist father back in Nigeria. 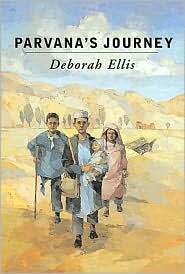 Parvana’s Journey. Deborah Ellis. Groundwood. 2002. 9780888995193. 208 pp. This sequel to The Breadwinner tells the story of Parvana, travelling alone across a war-ridden Afghanistan in an attempt to find her family. Refugee Boy. Benjamin Zephaniah. Bloomsbury. 2001. 9780747550860. 224 pp. Fourteen-year-old Alem Kelo adjusts to life as a foster child seeking asylum in London, while his Eritrean mother and Ethiopian father work for peace between their homelands in Africa. Shooting Kabul. N.H. Senzai. Simon and Schuster, 2010. 9781442401945. 262 pp. Escaping from Taliban-controlled Afghanistan, eleven-year-old Fadi and his family immigrate to the San Francisco Bay Area, where Fadi schemes to return to the Pakistani refugee camp where his little sister was accidentally left behind. A Time of Miracles. Anne-Laure Bondoux. Delacorte, 2010. 9780385739221. 180 pp. In the early 1990s, a boy with a mysterious past and the woman who cares for him endure a five-year journey across the war-torn Caucasus and Europe, weathering hardships and welcoming unforgettable encounters with other refugees searching for a better life. Translated from French. Where the River Runs: A Portrait of of Refugee Family. Nancy Price Graff. Scholastic. 1993. 9780590203623. 76 pp. Describes the experiences of a family of Cambodian refugees as they learn to adjust to a different way of life in the United States while holding on to their ethnic heritage. Why are People Refugees. Cath Senker. Hodder Wayland. 2007. 9780750251686. 48 pp. This book explains the differences between being a refugee, an internally displaced person and an economic migrant and the experiences of war, persecution, economic hardship, and natural disasters that cause people to leave their homelands.